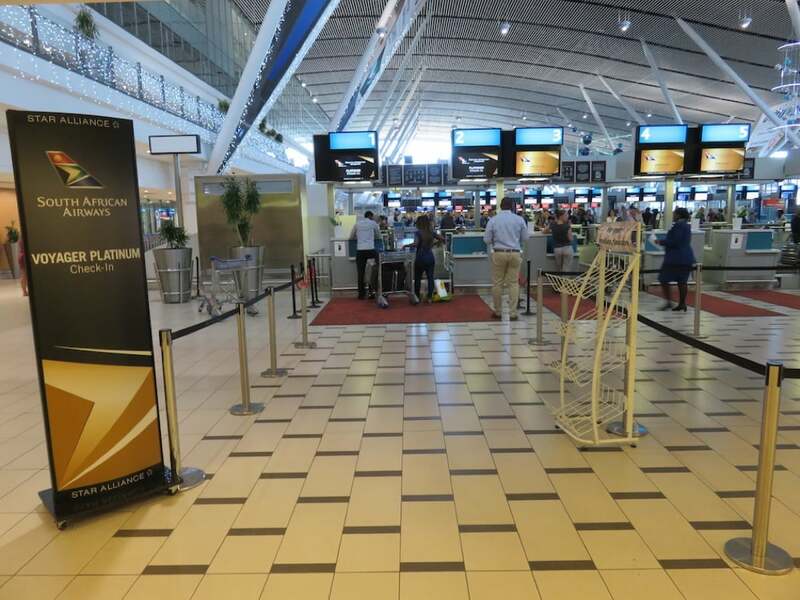 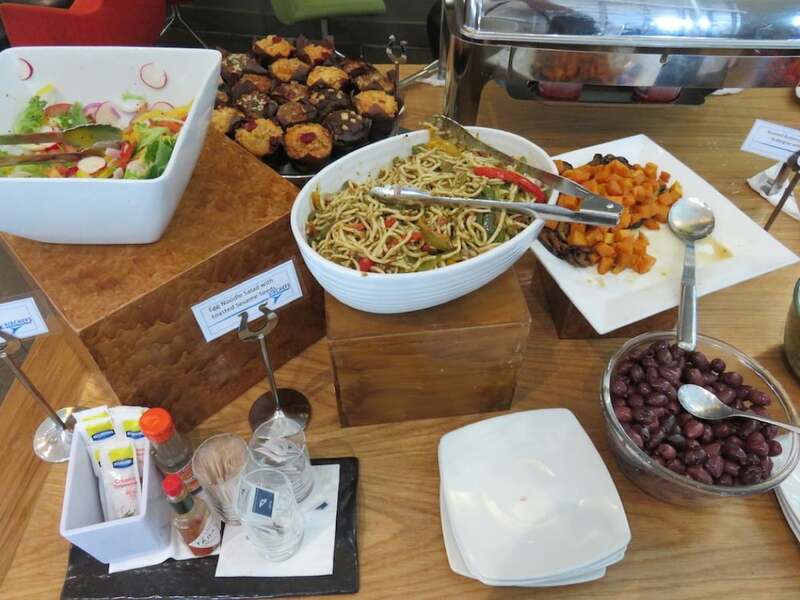 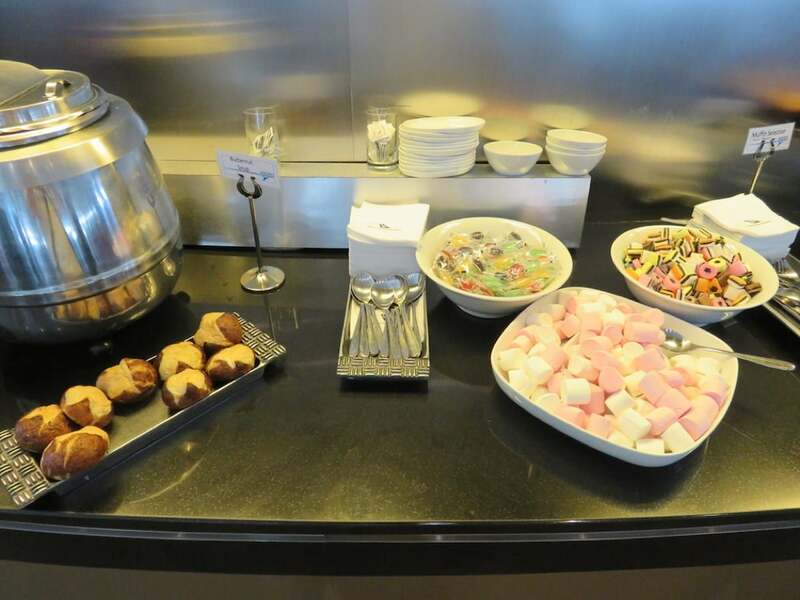 I reviewed the South African Airways Business Class airport lounge in Cape Town before boarding my South African Airways flight from Cape Town International Airport (CPT) to Johannesburg. 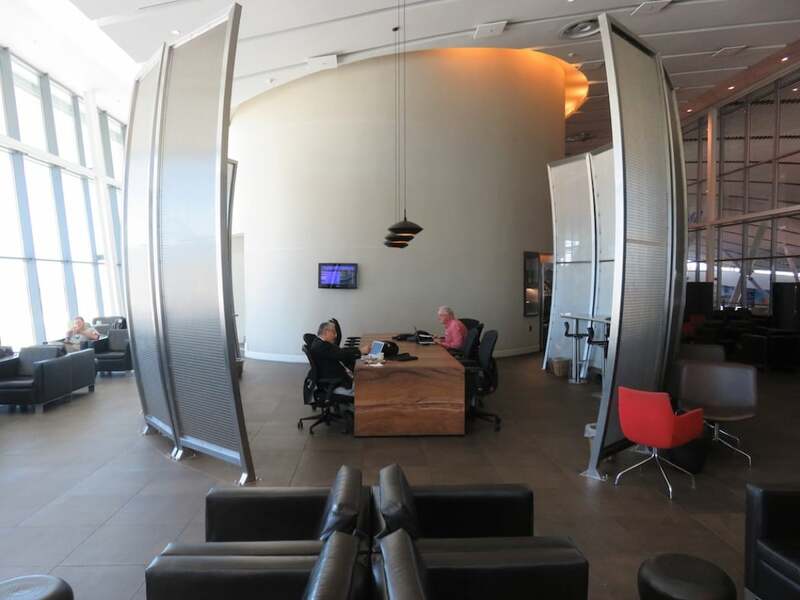 The SAA Business Lounge at Cape Town International Airport is located one floor above the main concourse, and can be accessed via a long entryway and a reception desk whose design reflects that of a boat. 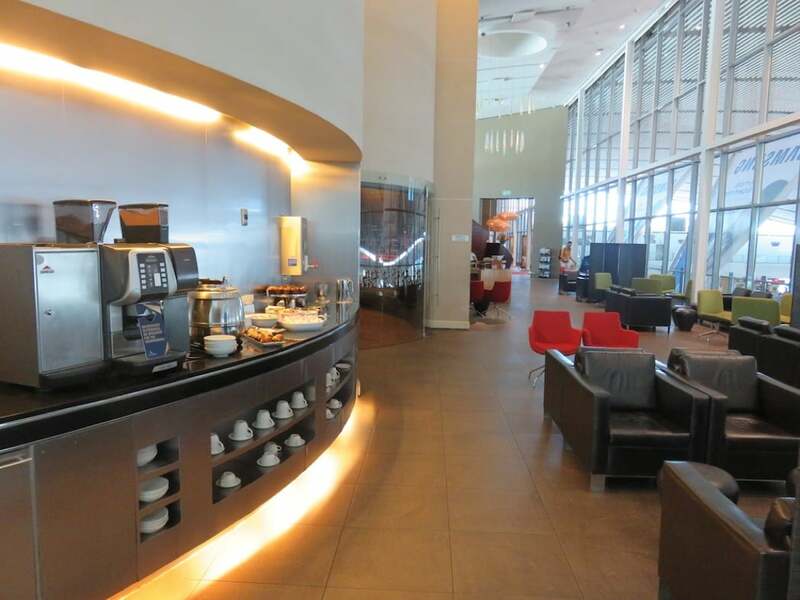 The lounge itself is a rectangular shaped space and features a modern, sleek decor. 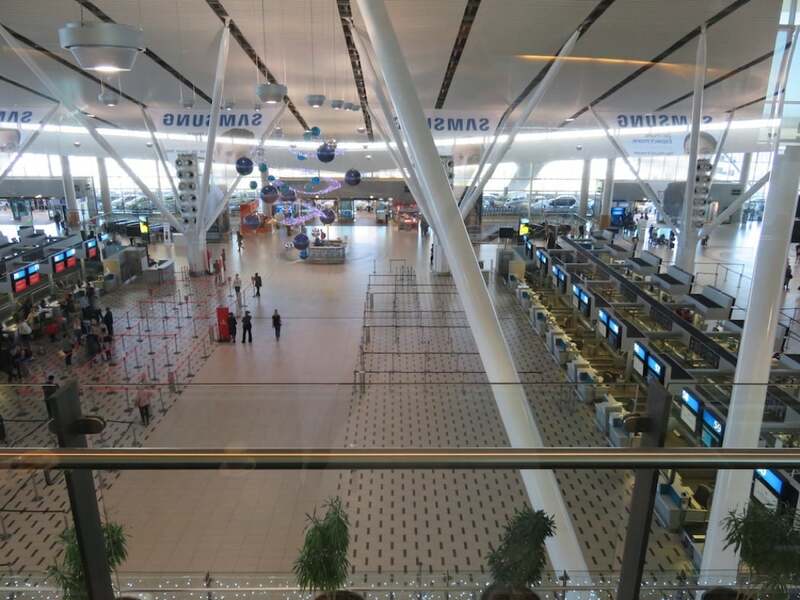 It feels very spacious and airy due to the high ceilings and the floor-to-ceiling windows that offer views of the check-in hall on one side and the runway (with the Hottentots Holland Mountains at the horizon) on the other side. 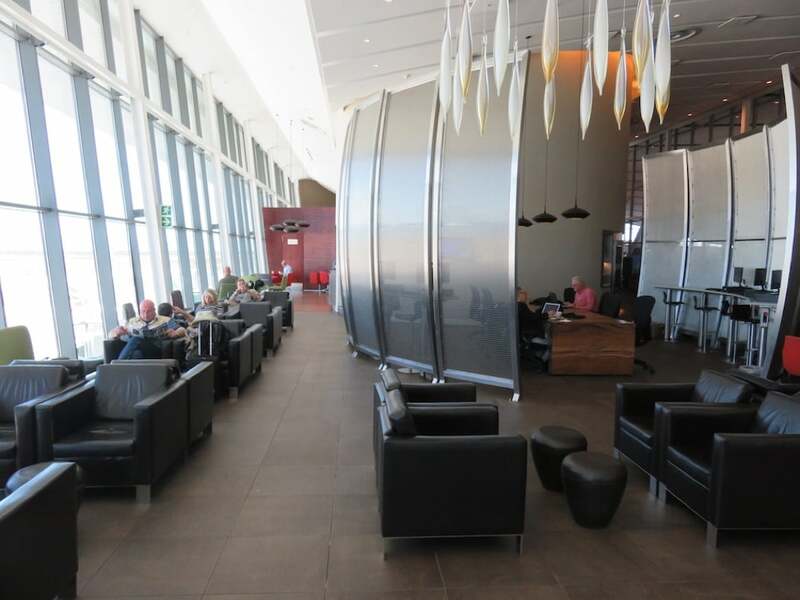 In fact, the bright, natural light filled space offers some the greatest tarmac views of any airport lounge in the world. 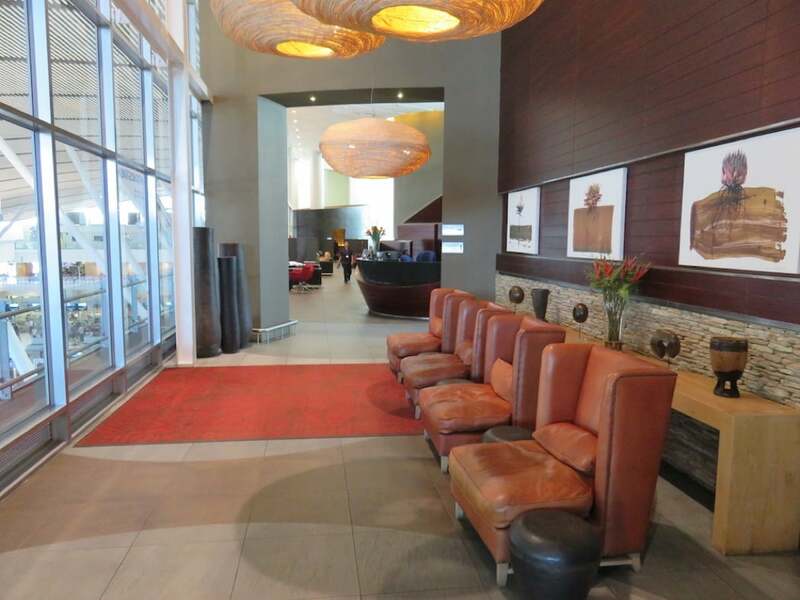 The lounge has several cozy seating areas, as well an open-sided business center in its center and an enclosed entertainment room and smoking lounge on the side. 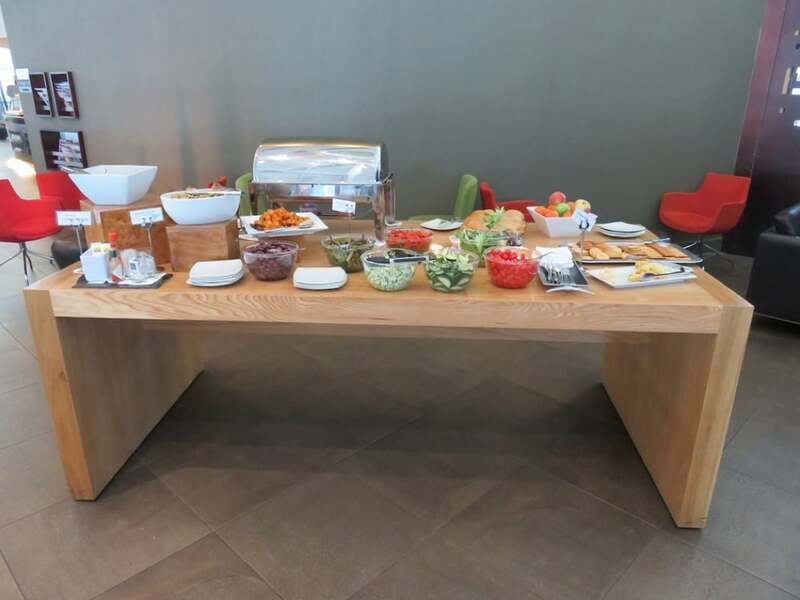 At the time of my visit (around noon), a small buffet was displayed near the reception, which featured mainly cold items such salads, vegetables, cookies, and sandwiches in addition to one hot dish (chicken). 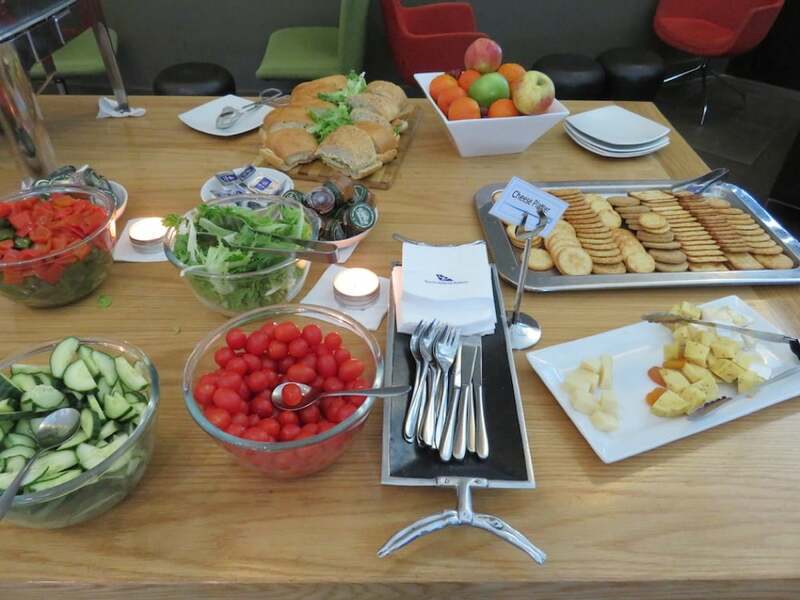 While I was not impressed by the poor food offerings, I did like it to hang around in the lounge and enjoy the thrilling views of aircraft taking off and landing. 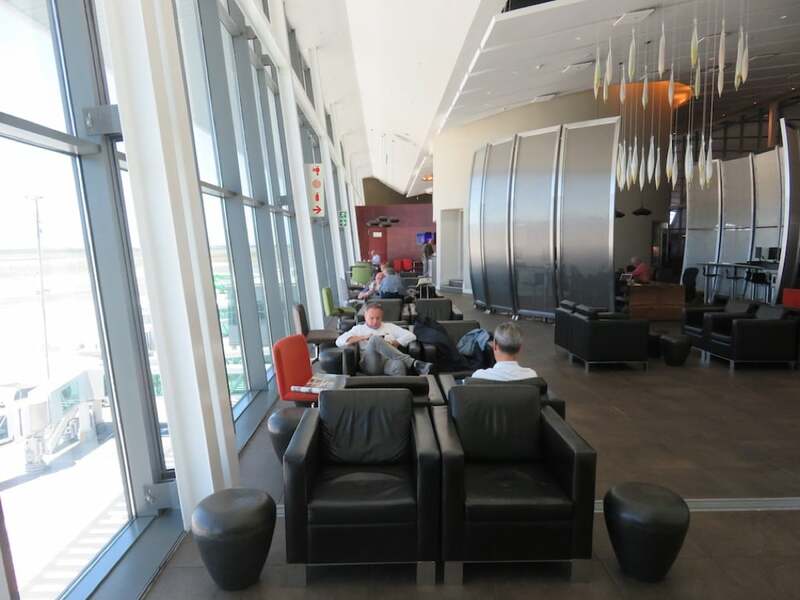 From the lounge, it was a 10 minute walk to the gate, where we had to board a bus that took us to my South African Airways Airbus A340-600 Business Class flight. 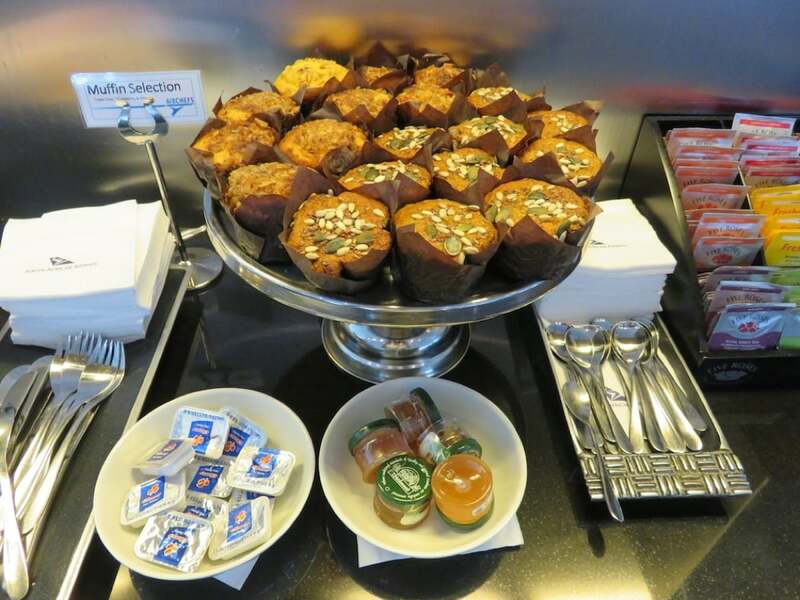 This review was written by my friends at The Luxury Travel Expert.